Thanks to Derek Bottles for his summary. 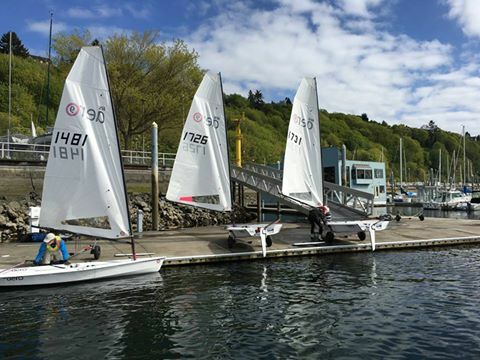 14 RS Aeros Sailed CYC Seattle's annual Turkey Bowl regatta this weekend. Dan Falk dominated the event, I finished a distant 2nd for the 2nd year in a row, Eric Becker sailed a consistent and well fought event for 3rd. Carl Buchan made it out for 4 races Sunday and showed us all that we have work to do off the wind if we want to beat him. Nate C and Doug S both had their moments. This marks the end of the summer season in the Pacific Northwest - now they start Fostbiting! Time to book up those charter RS Aeros at the Florida RS Aero Winter Series for a mid-winter treat!